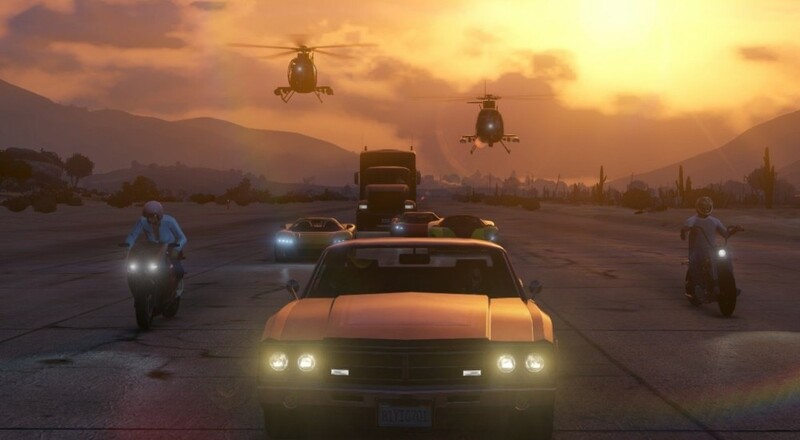 Grand Theft Auto Online has launched today, just in time for 800,000 US government workers with a lot of time on their hands to form the biggest crews the game has seen. The online portion of Grand Theft Auto V is free to play, though supported by microtransactions. If you're looking to play co-op in GTA, this is where it'll happen. Obviously a launch like this is a big undertaking for Rockstar and it seems there's already some server problems. According to Polygon.com, multiple users are reporting long loading times, lockups, and connection errors while trying to access GTA Online and the Rockstar Social Club. To actually gain access to GTA Online require a 40MB patch on either the Xbox 360 or PlayStation 3. Then a 4th character which you'll create will be available from your cell phone and it's into the world with up to 16 players. Once there you can play story missions, performs bank heists, hold up stores, and even complete activities like golfing, hang gliding, and more with friends. More details on GTA Online are available from Rockstar. We'll have impressions of the game later this week once things settle down a bit. We'd love to hear how GTA Online has been for you! Leave some feedback in the comments below. Oh - and don't forget to Join our GTA Online Co-Opticrew! Page created in 0.4921 seconds.